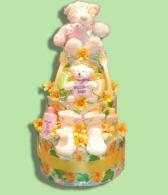 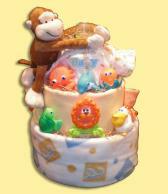 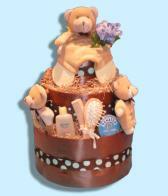 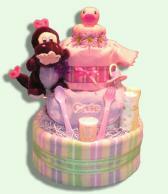 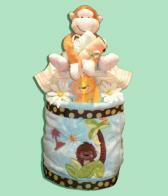 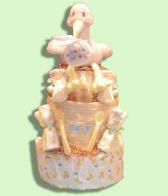 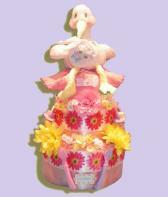 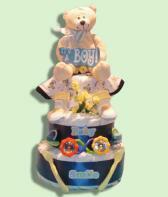 A fabulous idea to welcome the new baby, our diaper cakes make wonderful baby shower gifts. 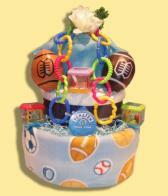 Not only do they make wonderful centerpieces for the event, but you will be hard pressed to find another gift that is as practical as this. 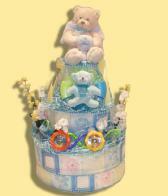 All ingredients in each new baby cake are used by the new parents, such as diapers, baby bottles, baby lotion, baby shampoo, diaper cream, washcloths, receiving blankets, baby fleece blankets, teethers, soft toys and stuffed animals. 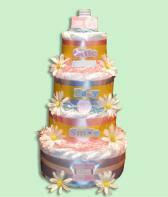 If we are informed of the colour scheme or theme of the baby shower, we are then able to decorate your diaper cake with matching coloured tulle, ribbons and flowers. 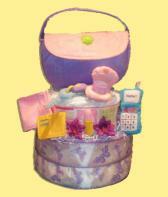 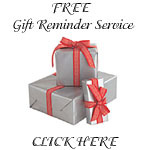 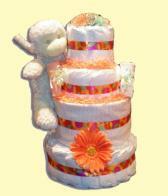 We are able to ship our diaper cakes Canada all throughout the country using Fedex Ground services. 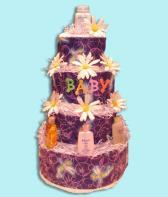 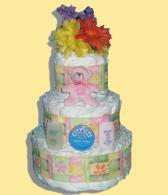 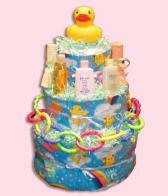 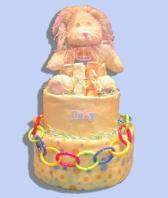 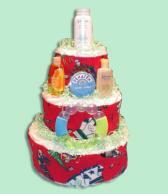 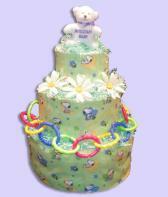 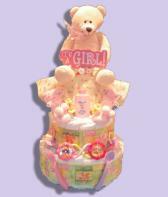 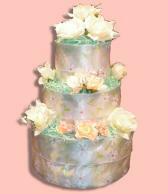 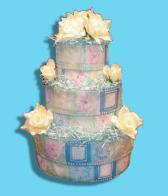 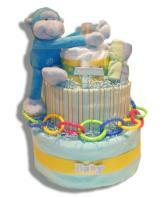 Most diaper cakes are able to be shipped out the next business day via FedEx Ground after the order is placed. 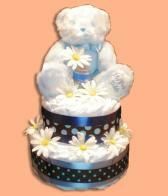 Local Montreal deliveries are also done the following business day, unless requested otherwise. 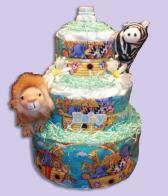 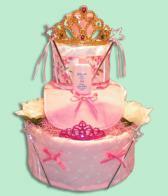 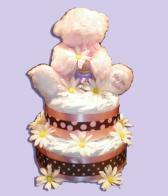 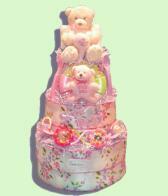 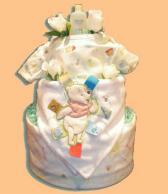 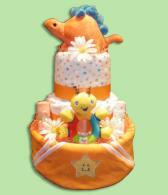 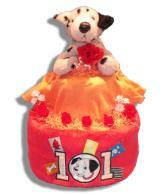 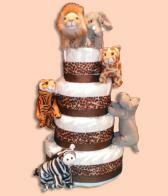 Feel free to view the pages below for some of our popular diaper cakes in the following cities.